Muse On Muse : Tell us how and why you decided to release the “Jay Graydon All Stars – 20th Anniversary Edition” DVD. Jay Graydon : Very interesting you ask that question, as I am not sure how the idea came up. Kerstin (my personal assistant, web master and so much more) probably mentioned it had been 20 years since the concert tour in 1994 in Japan and Scandinavia. In any case, either Kerstin or me came up with the idea of doing a documentary with the guys. I called all of the guys to see who was in town and we set up a date that worked for the guys. Kenji was in Japan and the rest of the guys were out of town. I asked my good friend Todd Homme (an excellent guitarist) if he would do the video since he is very good as to videoing. My girlfriend Denise (she is a professional photographer) took still pictures during the filming. After all the video was complete Todd gave me the files and I sent to Kerstin since she did all of the video editing! That was major work and she did a great job! I decided to re-master the audio from the concerts making it sound much better! There is so much more documentary footage we did not use that we may use in the future. While Kerstin was editing we both came up with ideas as to add to the DVD’s such as my 40th surprise birthday party, the full Peg solo explanation and more. We could do a version that has many more songs and more documentary footage for a Japanese release. I pitched a few record companies in Japan but so far we have not found a company that wants to license. If you people that are reading this article wish to have a Japan release that would be at least 6 hours long, please notify your favorite Japanese Record and Video companies. The extended version would be major work from both Kerstin and me but we would both do the work to make our fans happy! The Japanese Record or video company would only need to add Japanese subtitles. 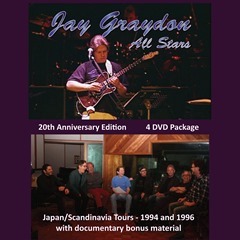 At this point the only way to buy the video is through my website (www.jaygraydon.com) or CD BABY(www.cdbaby.com/cd/jaygraydon). Note that the first interview is Kenji and I and that does have Japanese subtitles. MM : The DVD includes some footage of the original members looking back and talking about the album. How do you personally look back onto the album? JG : It had been years since listening to the album and that reminded me of many things. I humbly state the songs are very good, excellent performances by all, and a solid production. MM : Do you have any particular episodes from back then that come up to mind? JG : Yes. I remember writing most all of the songs with the co-writers. She Just Can’t make up her mind” began from a song start Janey Clewer had sent me. I can’t remember how much of her ideas were included in the song (I wish I still had the tape she sent me). I then got together with Bill Champlin as to work on it. I wanted Bill to sing the song so it was perfect for Bill and I to work on it together. Bill came up with perfect chord changes on the turnaround chords that lead up to the title lyric. After we worked out the melody and chord changes, Bill wrote a great lyric. When recording the vocal with Bill I had thought of the Donald Fagen version of the song “Ruby” that uses a 13th chord voicing for the background vocals on the last word of the chorus. So that is what we did with the background vocals on the word “mind”. The song is in Bb and the voicing from high note to low note is probably Bb-Ab-G-F-D-C. That is such a delicious chord voicing. Playing the solo and guitar parts was huge fun! I had done a rough mix of the completed song before starting to mix all songs. When it was time to mix the song, I listened to the rough mix (it was mixed to a DAT recorder but all other songs were mixed to 2 track tape) and thought the rough was perfect so I used that DAT tape for the master. I had never used a rough mix as a master ever — this was the only time I used a rough for a master! 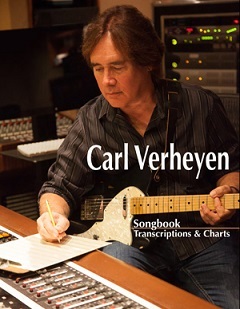 Bill Cantos, Val Hobel, and I wrote Roxann a few years before recording the CD. I knew Warren Wiebe would be perfect singer for the song and of course he did did a great job! So sad Warren passed away. After The Love Has (Is) Gone was an obvious song choice. We recorded with a live band but I did not like the way the track turned out so I decided to program the drums and then start adding the other instruments. I loved the drum groove and fills Tris played on the live version so I basically programmed the drums as close as I could to what Tris played. The next step was to record the Rhodes/piano part into a sequencer. Foster was very busy and asked me to call Mark Portmann to play the piano part. He’s a good player but Foster is obviously the best piano player for the song. So Mark took a shot at the piano part before David did. There was like 2 bars Mark played I really liked but I knew David would be much better so I talked him into playing the part. David played 3 passes (3 different midi tracks) and obviously was great but there were 2 bars that Mark played so I combined David’s part and the 2 bars Mark played on another midi track. I can’t remember the full chain of events but I had to record Kenji’s bass part one night since he was going to Japan the following day. Kenji did a great job as expected! MM : The 20th Anniversary Edition definitely generates a nostalgic feeling among the fans, as well as stirring an eagerness to see and hear the current Jay Graydon All Stars. Do you have any plans to release a new studio album and/or do any shows or tours? 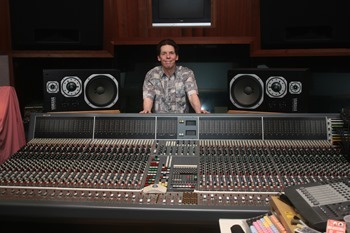 JG : As a matter of fact I just started mixing the new JaR CD (Randy Goodrum and myself) The CD will be entitled, “Code”. That song’s lyric is a puzzle with clues as to figure out the code! I must say this album is loaded with great songs! We are hoping to have a release date in December. We will surely get a Japanese licensing deal. As to touring, no plans at this point in time. MM : You feature the guitar solo from Steely Dan’s “Peg” (which was also featured on your “Airplay for the Planet – The Video” instructional video) with new footage and commentaries. What do you think is essential for a guitar player and what kind of practicing would you advise in order to create such an impressive guitar solo? JG : Interesting question. First, the main thing is to find your own style. It’s good to learn other guitar player’s solo as to use in your “library” of ideas but then transform into your style. 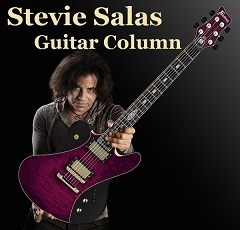 Try to come up with melodic lines that do not sound like any other guitarist. Don’t be afraid of taking chances meaning when playing a solo try extending your thinking so you jump to another area of the guitar and just use your ears. If you think it sounds like you made a mistake, no matter and just keep playing as you may fall into new ideas. When playing live gigs and taking melodic chances, if I play a note that may not sound good I will sometime make a pattern out of that note playing it again as to make the listener think you really meant to play that note! When recording by myself in my studio, I take chances all the time since no one but me is listening. If the chance taking sounds bad, I simply erase and keep trying different stuff until I find ideas that work. It is a form of practicing as when ever you play guitar (even on a gig) it is a form of practicing. If practicing without playing with a song, it is a good idea to use a metronome so you get used to playing with a timekeeper. I also like to play along with CD’s, etc. just to get musical ideas. Playing along music minus one CD’s are good as well. With your DAW recording set up, another good way for practicing. Set up a drum groove, a keyboard part, and bass part. Try different tempos. When working on a difficult melodic line, start with a slow metronome tempo and as you get comfortable with the line, bump up the metronome tempo a little. When you get comfortable at that tempo down, repeat the same process increasing the tempo. When I am playing solos and taking melodic chances, I am always 5 milliseconds (or so) from crashing into a musical brick wall! No big deal if that happens since we must all take musical chances as to grow. MM : The DVD also includes footage from your birthday party where you jam with Steve Lukather. Do you actually jam with him in private too? JG : I don’t think we ever did that but when playing sessions together we may show each other stuff. 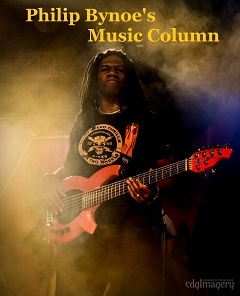 Luke and I have jammed many times with Sterling Ball’s band he puts together for fundraisers. There has been up to around 4 or 5 guitarists on such jams including Albert Lee, Steve Morse, and Steve Vai. Those jams were always much fun! MM : I’m sure you’ve been watching and listening to Steve Lukather since his early days. How do you view his evolution as a musician and guitar player? JG : Luke and I are like brothers! We have spent so much time together over the years either working together or hanging out. Always much fun! Luke has become a virtuoso! 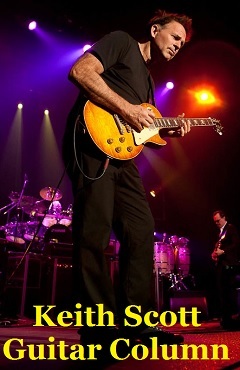 He continues to musically grow and is one of the best guitarists of all time! MM : Who would you consider to be the next note worthy session guitar player after Jay Graydon and Steve Lukather? JG : The question would be who are the best of the session guitarists over the years and many have specialties. Tommy Tedesco was the godfather of studio guitarists and the best sight-reader ever. Dennis Budimir was in the same league as Tommy. The next era was Louie Shelton, Larry Carlton, and Dean Parks (who is still busy playing sessions!) Then I came on the scene along with Lee Ritenour, Ray Parker Jr. and a bunch of other guys that played well. Paul Jackson Jr. was also in our era a little later and he still does sessions! Tim May, Thom Rotella, Mitch Holder, and more who all play well. I don’t know of the current guys doing sessions but I am sure there are some great guitarists. MM : The “Airplay” album that you created with David Foster is still considered as a masterpiece and continues to fascinate countless music lovers. Is there any possibility for teaming up with David again for another project? JG : For those of you that do not have the re-master I did a few years ago (maybe 2010? ), the audio is so much better and I mean sooooooo much better! David is so busy running Verve Records. After saying that, it could happen someday. MM : I’m sure there are many young musicians that are aspired to become a great producer and session guitar player like you are. What would be your word of advice? Give us some tips in regards to playing guitar and mind set for working in the industry. 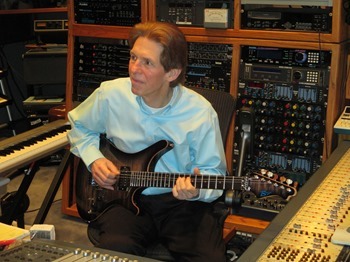 JG : The hardest thing is to get a shot at becoming a studio guitarist; I owe Dean Parks big time as he was kind enough to recommended me for studio work! I still thank Dean for his kind help! As to be a studio guitarist, if you are lucky enough to get a chance, you get one shot at this. If you do not do a good job, bad news travels fast. If you do a good job, good news travels fast and more work will come your way. You need to read music, have a good sound, play in tune, and able to adapt to the drummers “time” and “feel”, and so on. Be on time to the sessions. Don’t ask stupid questions meaning if you see a C 7TH chord but the piano player and any other keyboard instrument is playing a C Major 7th, the C 7th must be a mistake on your music. Simply correct the chord on your music instead of asking if the chord is C Major 7th. If the arranger asks you why you played a C 7th, you then say that is the chord on your music. You get the concept. If you are playing from a chord chart meaning no written notes and no rhythm pattern written, while you are playing with the band on the first run down, listen to the piano player and or other guitar player and work out a rhythm part. Simply find something that works for the song and arrangement. Yea, this all needs to happen quickly and you should establish a part by the end of the 2nd run through. If the arranger says how he wants a part played like a rhythm part or single string muted rhythm, do as he asks. When I work with one or more guitarists in a tracking date, if the other guitarist starts playing rhythm, I would quickly look for a single or double note muted part. There is so much more to this, which would need to be a small book. As to being a producer, keep in mind that you need to make the artist happy and the record company happy BUT you need to be happy as well as to what is taking place with each song. It is a balancing act. When the artist does not agree with a decision you make as to something that has to do with the arrangement or the vocal, explain why you want it to be that way. If they argue their point wanting their way, I decide how important it is to have my way. If I am 51% or more sure it must be my way, I make sure to get my way with an explanation that makes sense. If I could let my idea go letting the artist have their way I must not care 49% or less as to getting my way. In that case, the next time such a situation comes up where I must have it my way, I note the last time they got their way so please let me have my way this time. If such a problem continues to happen I always say why did you hire me as the producer? That always works one way or another. Either you keep the producing gig or get fired. MM : How do you view the current music scene? JG : This era seems to be mostly techno disco meaning mostly the loud kick drum playing ¼ notes. At least in this era Rap is not the feature and melodies (as simple as they are) once again exist. I’m happy about that. 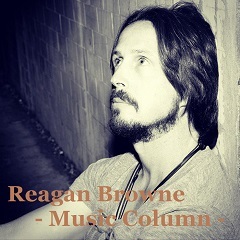 I can easily compose/program such music and did a bunch of demos but hard for me to get such producing gigs in that style since as in the past, the producer/writer of the month (or longer) that has hits gets the gig. I did get one song placed in a teenage movie entitled Gibby that should be released in a few months. The song is entitled Hotter Than Hot and is available on iTunes. JG : I am so pleased that the Japanese appreciates quality music! Be proud! Further, I am honored I have so many fans in Japan! Another great fact is Japan still has record stores and realizes CD’s sound so much better than MP3’s! The bottom line is I have total respect for all of you to allow people like me to have an outlet for my music!